Macklemore and Ryan Lewis pay homage to 1970/80’s hip hop and rock n roll with this song called “Downtown”. The video features Hip hip legends Kool Moe Dee, Melle Mel and Grandmaster Caz as well as Foxy Shazam’s Eric Nally. 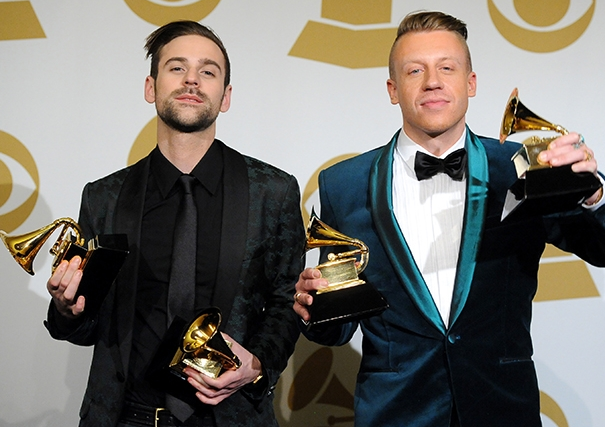 The 56th Annual Grammy awards took place last night and it was a good night for Macklemore and Ryan Lewis. They scooped 4 Grammy’s for Best Rap Performance and Best Rap Song for Thrift Shop, the Best Rap Album for The Heist and Best New Artist. Jay-Z added another Grammy to his collection with the award for Best/Rap Sung Collaboration for Holy Grail featuring Justin Timberlake. Pharrell also did well winning Record Of The Year with Daft Punk for Get Lucky and Producer of the Year. Check out some notable Grammy Award Winners below along with Jay-Z’s acceptance speech and Pharrell’s thank you on behalf of Daft Punk. Ryan Lewis directs another great video featuring his partner Macklemore, TDE rapper Schoolboy Q and singer Holls. The video sees cameos from Wiz Khalifa, Big Boi, Trinidad James, A$AP Rocky, DJ Drama, and Sir Mix-A-Lot. Macklemore and Ryan Lewis are joined by Schoolboy Q and Hollis to perform ‘White Walls’ on the Jay Leno show. Taken off their newly Platinum album The Heist. The biopic of the visionary Steve Jobs is going to hit cinemas this summer with Ashton Kutcher in the lead role. 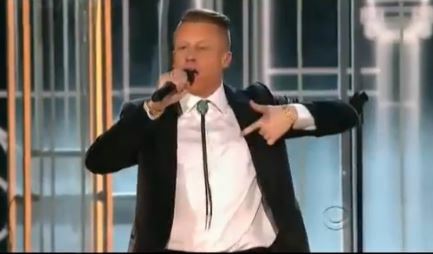 Here goes the first trailer featuring the Macklemore & Ryan Lewis hit record “Can’t Hold Us”. Check out the inspirational trailer above.